Microsoft and Walgreens Boots Alliance on Tuesday launched a seven-year strategic partnership "to develop new healthcare delivery models, technology and retail innovations," using Microsoft cloud technology. Microsoft Corp. (Nasdaq: MSFT) and Walgreens Boots Alliance have a common enemy: Amazon.com Inc. (Nasdaq: AMZN). For Microsoft, the WBA partnership is the latest in a series in the retail sector -- previous deals include Walmart, Kroger and Gap. Microsoft sees Amazon Web Services Inc. as particularly vulnerable in retail because of Amazon's own big retail operation, which puts Amazon in competition with its own customers -- or so says Microsoft. On the healthcare front, Amazon is partnering with Berkshire Hathaway and JP Morgan Chase & Co. to provide healthcare services for more than 1 million people who get health insurance from the three companies. The Microsoft-WBA partnership combines R&D as well as moving most of WBA's IT infrastructure for 380,000 employees and stores globally, to Microsoft Azure, the companies said. WBA brands include Walgreens, Duane Reade, Boots and Alliance Healthcare. 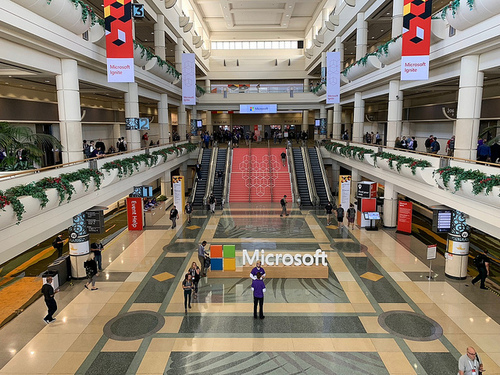 The companies will use Microsoft Azure Cloud, AI, Microsoft 365, Microsoft's health industry investments and retail solutions, as well as WBA's customer connections, locations, healthcare services, and industry expertise. The goal: "to make health care delivery more personal, affordable and accessible for people around the world," Microsoft said in an emailed statement. As part of the deal, Microsoft becomes WBA's "strategic cloud provider." Among the applications WBA is moving to Azure are retail, pharmacy, business services, data and analytics, and legacy applications and systems. The partnership aims to improve health outcomes and lower overall healthcare costs, as well as to collaborate on R&D, the companies said. WBA wants to transform its stores into "neighborhood health destinations," Stefano Pessina, WBA executive vice chairman and CEO, said in a statement. The two companies will connect with customers for healthcare through mobile devices, and personalized services including preventative self-care and chronic disease management, the companies said. WBA will also offer guidance in areas including nutrition and wellness, through digital devices or in-store expert advice, the companies said. The companies will work with IoT devices for non-acute care management. The partnership will work with other organizations to connect consumers, providers including Walgreens and Boots pharmacists, pharmaceutical manufacturers and payors. The Walgreen partnership isn't Microsoft's only healthcare initiative. This month Microsoft announced the launch of of new AI-driven blood testing technology developed in partnership with Adaptive Biotechnologies. Microsoft and Kroger announced a partnership last week to transform retail operations for the US supermarket giant. The two companies are opening pilot stores near their respective headquarters in Redmond, Wash., and Monroe, Ohio, with smart shelves with digital displays that update prices automatically and show personalized icons to help shoppers find items they've put on their shopping lists, as well as helping workers identify items for curbside pickup orders. Microsoft and Kroger plan to offer their technologies to other retailers, in an initiative they are calling "Retail as a Service." AWS, for its part, says that its retail operation and cloud operation operate independently -- indeed, AWS considers Amazon's retail operation to be AWS's biggest customer. Healthcare is a strategic direction for Amazon. The company agreed to acquire online pharmacy PillPack in June, in a deal reported at nearly $1 billion.